Nashville! 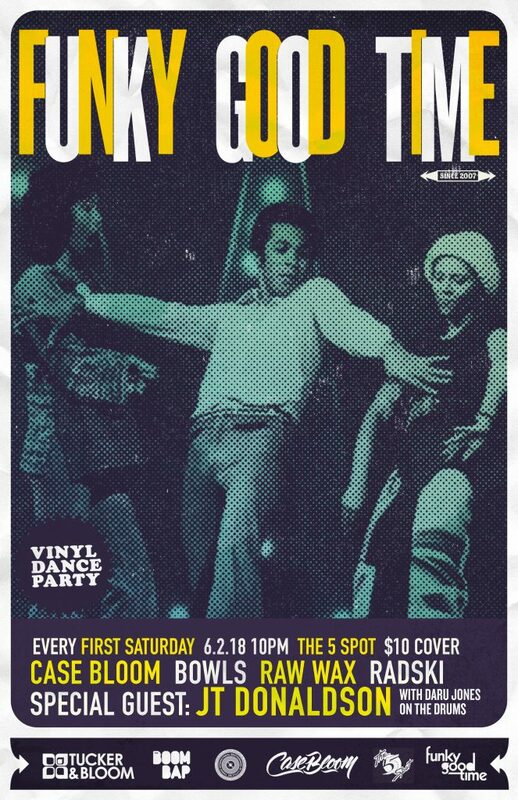 Saturday June 2nd is the return of FUNKY GOOD TIME at The 5 Spot! 2018 makes 11 Years of the party and we’re excited to be bringing you another year of Funk, Soul, Disco, Latin, Boogie, and R&B records! DJ’s Rad Ski, Bowls, and Case Bloom on the wheels and an opening set by RAW WAX! Daru Jones Official on the drums + Special guest JT Donaldson is in the house! LET’S DANCE!